The next age of photography is upon us – 380 Billion pictures are taken a year. 127 Billion of those are uploaded to Facebook. Quite simply, everyone is a photographer™ Polaroid is one of the world’s most trusted, well-respected and recognizable brands with a rich 75 year history. As a true pioneer of photography, the company continues its tradition of innovation in the digital age with the opening of Fotobar. 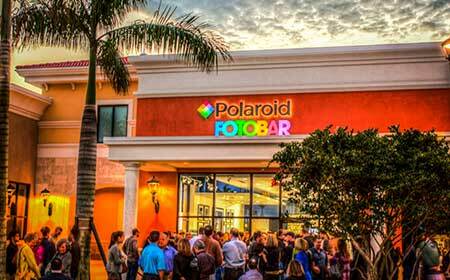 Founded in 2012, Polaroid Fotobar is the first of its kind — fun and experiential — retail destination that is changing the paradigm of how people “liberate” their photos and turn them into innovative and memorable products. Each location offers customers the ability to instantly print pictures — wherever they may reside — utilizing the Polaroid Classic Border Logo format in five different sizes. In addition, customers can turn their favorite photos into an extensive selection of custom and unique photo products from a variety of materials including canvas, stone, metal, bamboo and more. 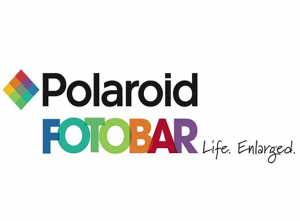 Polaroid Fotobar locations also offer an array of Polaroid branded products and feature “Fototenders,” available to assist in instantly turning your best photos into lasting memories.